﻿﻿Nothing Compares to Our Exciting VIP Limo Wine Tour service! There is no doubt that when it comes to entertainment and peace of mind, one of the best options you can do is to go on a wine & cheese limo tour. It can provide you with an opportunity to kick back and relax while experiencing the surrounding landscapes and scenaries. One of the many things which make a limousine Montreal wine tour fascinating is the chance to enjoy everything which winery offers, not to forget the wonderful scenery, the history of the land and the great food to go along with a few wine glasses whilst having a driver and a luxury car awaiting you. Convenience and Luxury at the best prices: Our limousines provide the perfect environment and convenience which the wine tourists look for. 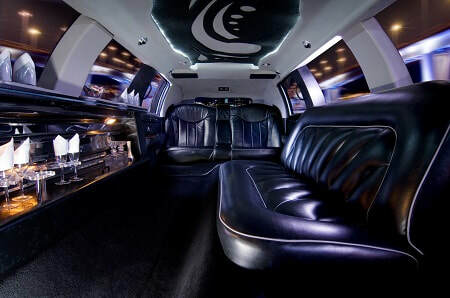 With our limos, you no longer have to worry about driving but just sitting relaxing and enjoying an amazing scenery. Our prices are the best and we provide the most value. No wonder our customers rave about our services! Knowledgeable chauffeurs: Renting a limo with us provides you the flexibility to visit any and multiple wineries and stay as long as you wish. You can plan your day and not worry how to get to the winery and which road to take. Extreme comfort in style: A Luxurious limo ride can help you make a tour unforgettable especially when there is a long road to take. Our limos are equipped with refreshments that you can enjoy along during the ride. No need to worry about traffic since we will have the most convenient and alternate roads checked out. Unmatched safety. Wine tour is all about tasting your favorite wines. Our chauffeured limos removes the potential for drunk driving and lets you enjoy the party to the fullest. Flexible Schedule. By renting our limos, you have the flexibility to schedule your entire day. Whether you want to enjoy with a group of friends or want to book a romantic trip, everything is up to you. You can even rent our limo buses if a group of more than 10 people are travelling with you. It doesn’t matter whether you have been on a lot of wine tours previously, as nothing is compared to having the tour in a limousine. This is where we come in the picture. When renting one of our huge selection of limos, you will get the benefits and luxuries that accompanies you while you are touring the winery regions. Renting with us is an easy and fast process. Call the number below to check for yourself.